From Don Charisma, the friend who created the lovely award I have brought out again. I have found this beautiful award on so many sites, have seen it used in ways never intended by me, and have actually deleted it because of that. However, I am now passing it on to my dear young friend, Avni, hoping she can continue what I began in 2014. The image below is better than the one posted last night, so Avni, and everyone who receives this in the spirit in which it was originally intended, I wish you PEACE, LOVE, BROTHERHOOD, and all good things in life. Forget the Viagra…Pass me a Carrot! 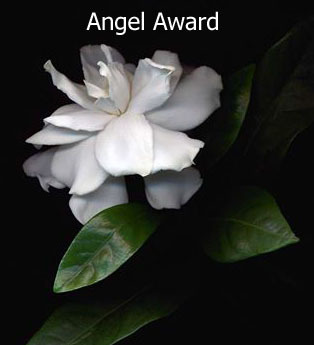 I remember well when I got this award way back when.. and a beautiful one at that too Angie. Just dropping in on you today Angie and hope all is well with you?, Sorry I have been absent for such a long time.. But sometimes we have to nurture ourselves. Spring is beginning to show signs at last here, and I have been out in the garden more which in its self is healing. Oh what a stupid law on veggie planting. Sad isnt it when some turn their back on nature. When Nature continually keeps giving us our very breath. We have some stupid city leaders here, Sue. And people who think vegetables only come in cans found on shelves in grocery stores.They don’t know how to prepare anything fresh — don;t have a clue that the meat is originally from the cute animals they see frolicking in fields. Sad. Thanks so much and abundant blessings my friend! 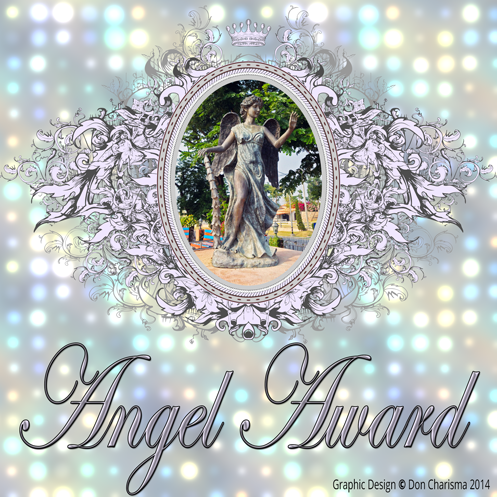 Previous Post A new award ….. the “Angel Award”!